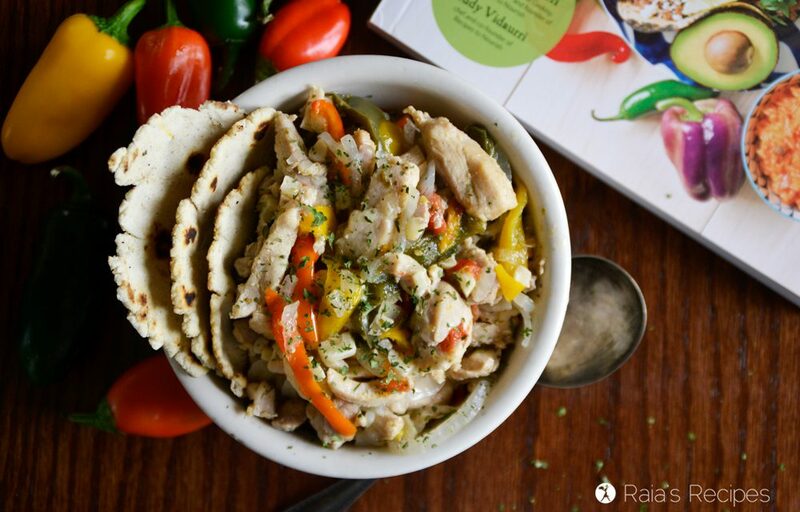 Prepare to fill your plate and stuff your belly with these delicious paleo and Whole30-friendly chicken fajitas! They’ll will make you think you were in a Mexican mama’s kitchen for lunch! One of my favorite parts of being a food blogger is getting to preview my friend’s new cookbooks. I love flipping through all the delicious photos and drooling over the recipes. And best of all, I love being able to share a sneak-peek with all of you! 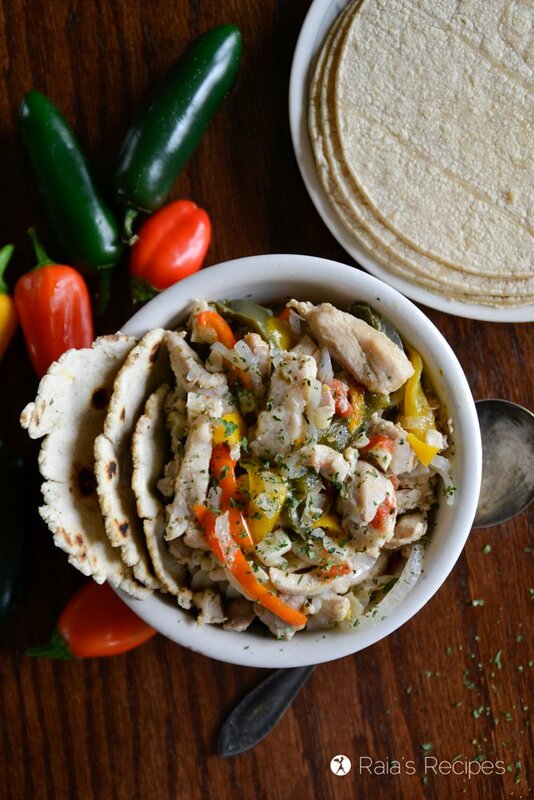 This delicious recipe for chicken fajitas comes to you from my friend Emily’s newest cookbook – Amazing Mexican Favorites in Your Instant Pot. It’s her second Instant Pot cookbook and I love them both! You can check out my review of her first cookbook, The Art of Great Cooking in Your Instant Pot, here. On a fun note, she co-authored this cookbook with her husband, Rudy, who has Mexican heritage. So you know these recipes are authentic! Thankfully I now have a delicious cookbook full of authentic Mexican recipes to fill my tummy with! 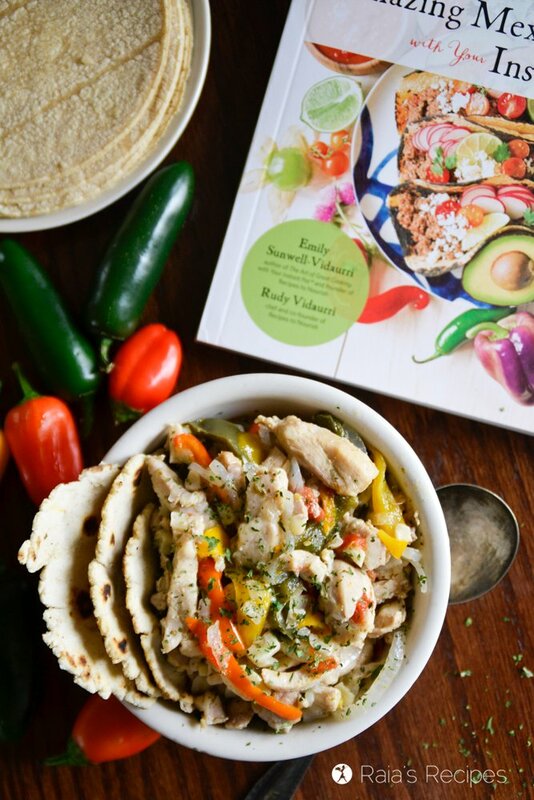 Amazing Mexican Favorites in Your Instant Pot has 80 mouthwatering recipes all made with real food, naturally gluten-free ingredients. From tacos to burritos, enchilada casserole to churros cake, everything in this cookbook is full of flavor and nutrition! Since this cookbook is Mexican food, there are some recipes that include cheese, corn, and rice. 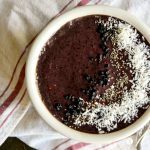 If you’re on a grain-free and/or paleo diet, feel free to either skip those recipes, there are still 30 strictly paleo recipes, and 50 dairy-free ones. In her recipe, Emily adds in a russet potato. 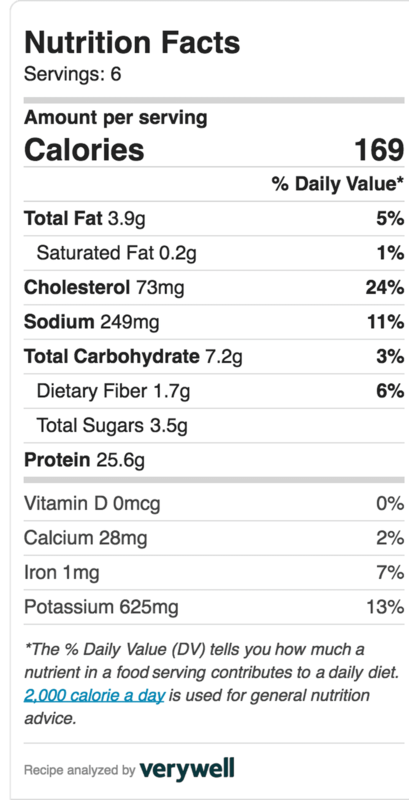 While this may be totally paleo and whole30, I happen to be intolerant to potatoes (not sweet potatoes though! ), so I left it out of my version. 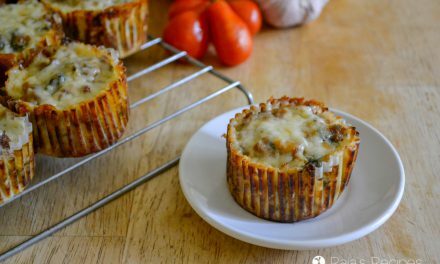 If you love potatoes and can tolerate them well, please add a potato in with the rest of the veggies – I’m sure it will be delicious! While I left my chicken fajitas toppingless ’cause I’m pretty boring, you can feel free to add any of these extra toppings, and/or serve them with tortillas! Some toppings that would be great are grated cheddar, guac, sour cream, salsa or hot sauce, or extra lime juice and cilantro. 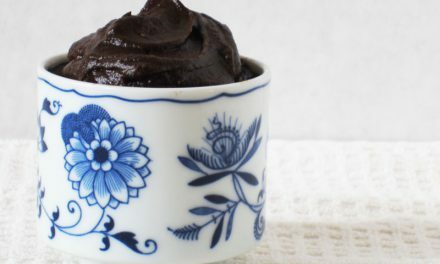 Below I’ve listed a few recipes from some blogger friends if you want to try any of these options homemade! Hot Chili Oil from Studio Botanica for a little extra heat! Get Amazing Mexican Favorites in Your Instant Pot here. 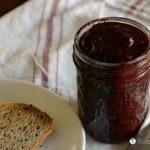 I use the Instant Pot Duo 6 quart 7-in-1 for this recipe (and all my Instant Pot recipes). Add the healthy fat of your choice to the Instant Pot and press “Sauté.” When the fat has melted, add the chicken and brown for 3 minutes on each side. Remove the browned chicken to a plate and set aside. Use the broth to deglaze the Instant Pot. Press the “Keep Warm/Cancel” button. Add the cilantro, onion, garlic, bell peppers, jalapeños, potato, tomato, salt, cumin, chili powder, oregano, black pepper, lime juice and chicken, then stir to coat the chicken. This recipe is used with permission by Emily Sunwell-Vidaurri and Rudy Vidaurri, authors of Amazing Mexican Favorites in Your Instant Pot. OMG! Your baby daughter is so cute! I love how much she loves and adores the food. Emily’s cookbooks are the best! Aw, thanks! She’s a permanent fixture when I’m cooking. Haha. And yes, Emily’s cookbooks are amazing! This book and recipe are beautiful!! Fajitas are always a good idea, cannot wait to make it! They’re so yummy, Joni! I hope you get to enjoy them! These fajitas look so good. I love this book! 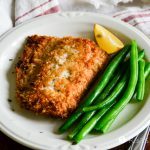 dinner ease, love this recipe! I am loving the cookbook too! Isn’t it amazing? There are so many recipes I can’t wait to try! Cannot wait to try this recipe! Looks like a keeper! Also, so excited to dive into Emily’s latest book. 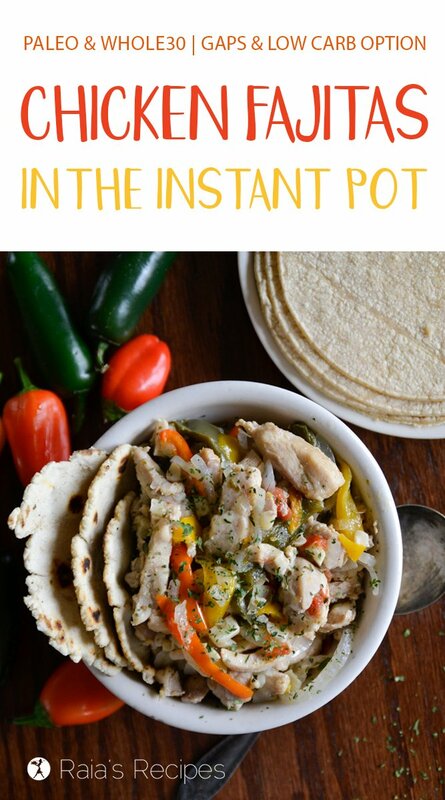 Love Mexican cuisine AND my Instant Pot and I are ready for some new ideas!! Her cookbooks are wonderful, aren’t they? I hope you enjoy the fajitas, Carol! I need to try this! My kids love fajitas. This looks like a total winner. 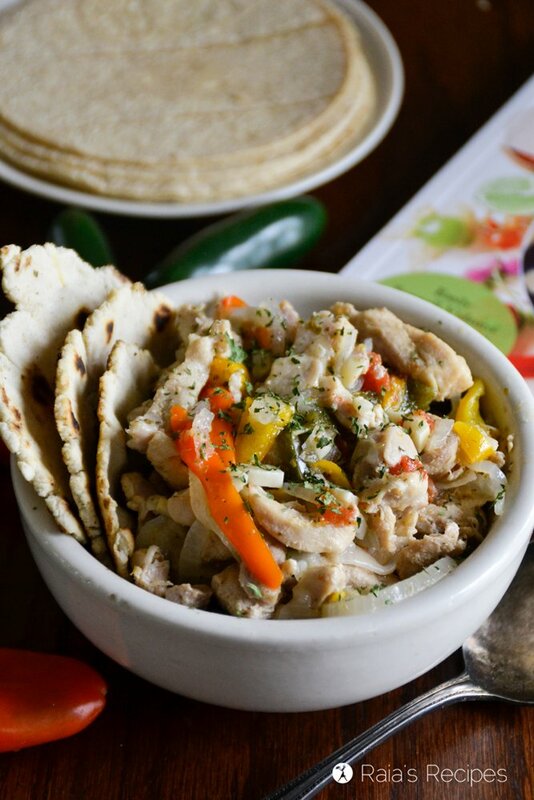 Can’t go wrong with chicken fajitas! 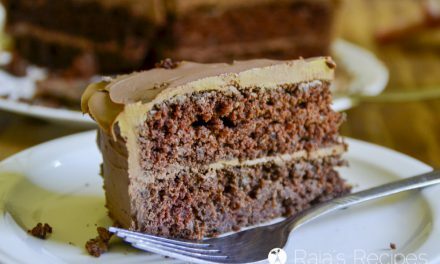 I made this recipe as well and it was amazing! Love this cookbook so much. 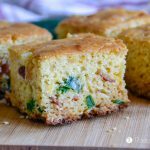 What a great family friendly recipe! 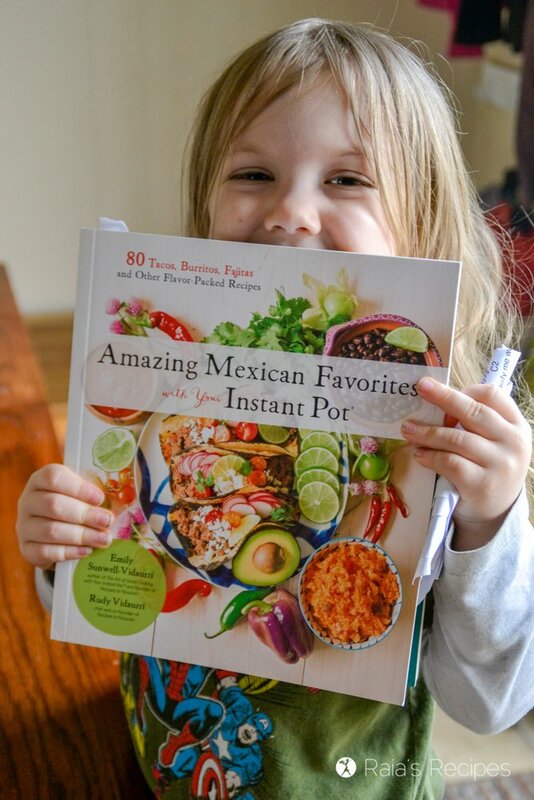 The recipes in this book sound delicious – I love Mexican food! They are so delicious, Hope! I love how your version turned out, looks SO good! I’m a chicken thigh gal too. What a yummy dinner! It was so delicious! My hubby even ate the leftover broth in the IP. Haha! Because he wasn’t around to be able to enjoy the meal! :-O But, yet. Even the broth was amazingly delicious! A worthy meal of its own. Haha! Yes, she’s always excited to eat! I really need to get an instant pot! These fajitas look and sound amazing. Sounds like a fantastic cookbook, too! I have not had fajitas in a long time! I’m going to have to give them a try soon! They’re so delicious, Anne! I hope you get to enjoy them! 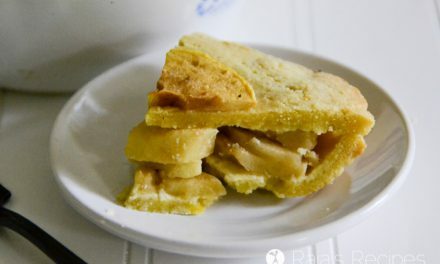 Yum, I need to make these ASAP! And, this cookbook looks amazing, I can’t wait to check it out! I am so prepared for these chicken fajitas! They look so delicious and I bet taste even better! Already thinking of a Mexican-themed weekend! 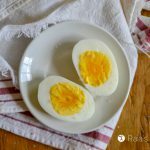 These look so flavorful and I just love that they’re made in the Instant Pot too! Thanks, Kari! They’re soooo yummy!